The 90th Annual Academy Awards took place on Sunday March 4th, so our friends at Cinema Blend checked in to see if Pornhub fans were willing to put their pornstar love on hold to watch their favorite Hollywood stars. 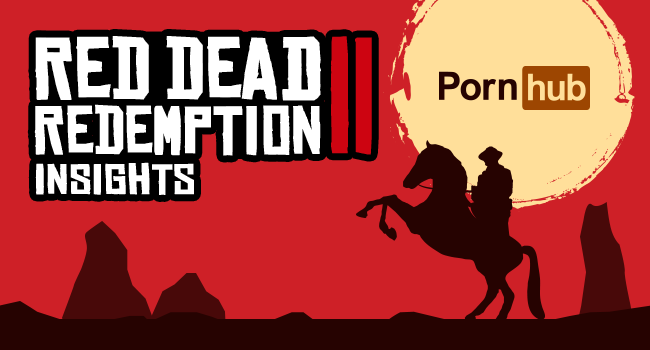 The live coverage began at around 7pm Eastern Time, as celebrities strolled the red carpet, and Pornhub traffic across the United States dipped by as much as 4% compared to 7pm on a typical Sunday. The award show ceremony began at 8:30pm at which time traffic was only -3% below average. It would seem that a lot of people were holding out to watch the evening’s biggest awards being handed out, with traffic dropping by -7% between 10pm and 11pm. That’s a considerable change in traffic since 11pm on Sunday evenings is Pornhub’s highest traffic time of the week. 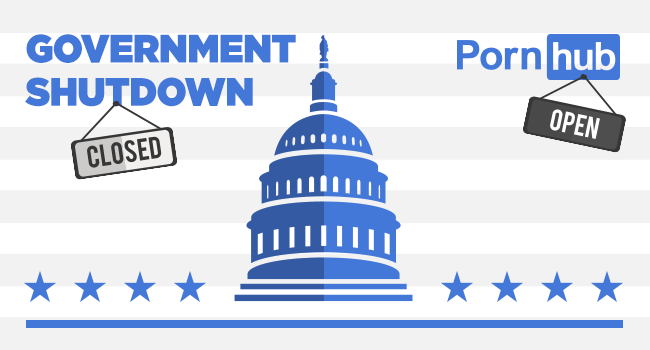 While the United States had an average drop of -5% from 8pm to midnight, the actually change by state varied greatly. The states most interested in watching the Academy Awards were New York and North Carolina with a -10% drop in traffic, followed closely by -9% drops in Pennsylvania and Massachusetts. Pornhub fans in Iowa and New Hampshire favored rewarding themselves instead of watching celebrities reward each other — traffic in those states was 7% above average from 8pm to midnight. Only 8 states had traffic above average on Sunday evening. 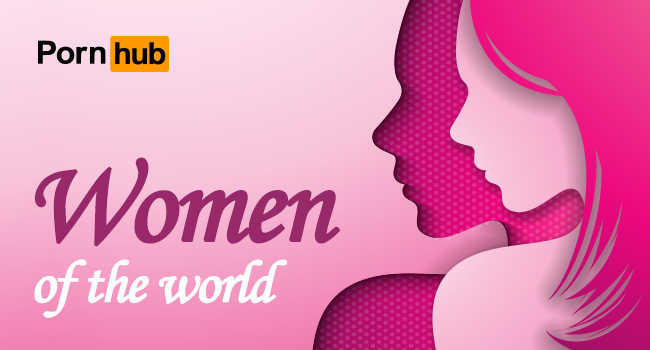 Our statisticians discovered that women were far more likely to tune out of Pornhub to tune into the awards. Female traffic was down -6% at 7pm as the Red Carpet coverage kicked off, and plummeted -11% below average at 11pm. Compared to the weekly average, March 4th saw searches containing “oscars” increase by 1229% and “award” by 388%. 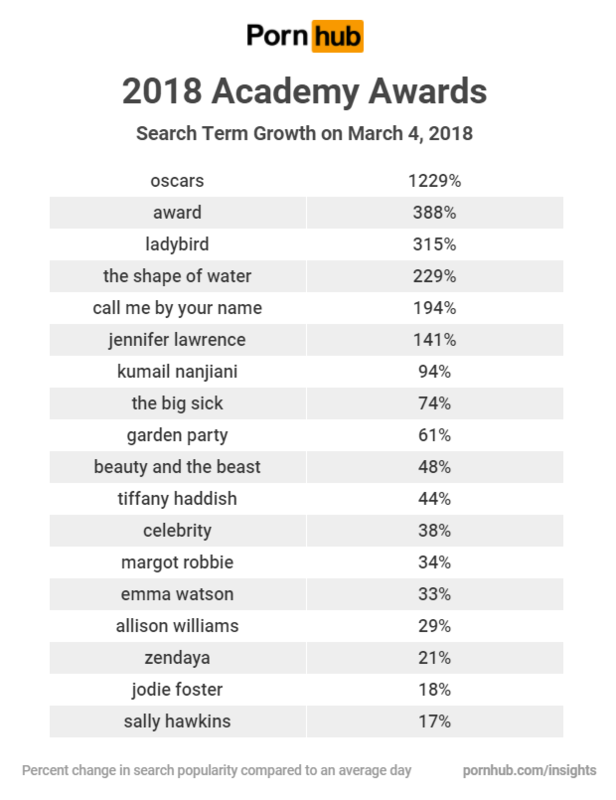 Many of this year’s top Oscar nominated movies and celebrities saw search increases on March 4th. 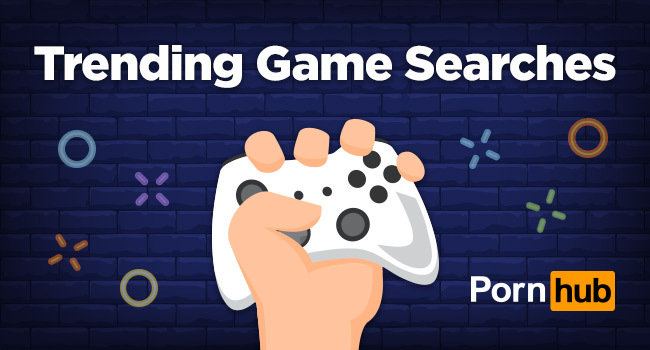 Even searches containing “celebrity”, one of Pornhub’s most popular search terms, increased by as much as 38%. To see how other live events can affect traffic to Pornhub, check out our 2017 Year in Review. 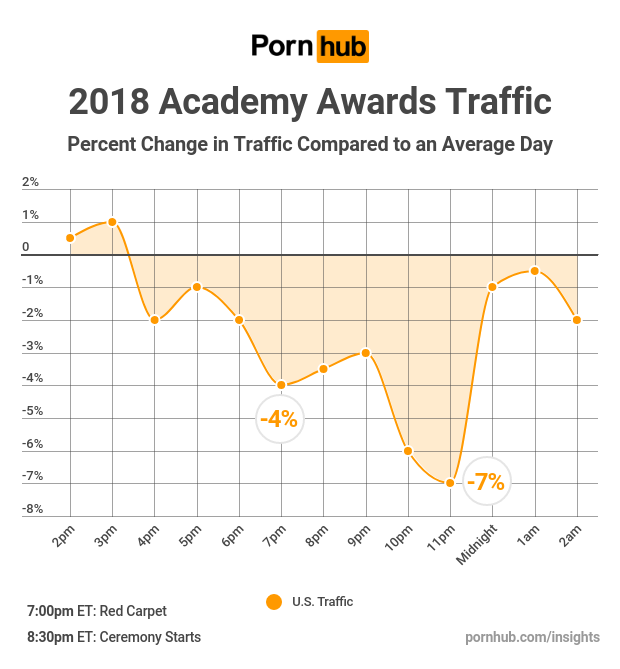 In 2017, Pornhub experienced a similar -5% drop in traffic during the previous Academy Awards, while the 2016 show only caused a -4% drop.